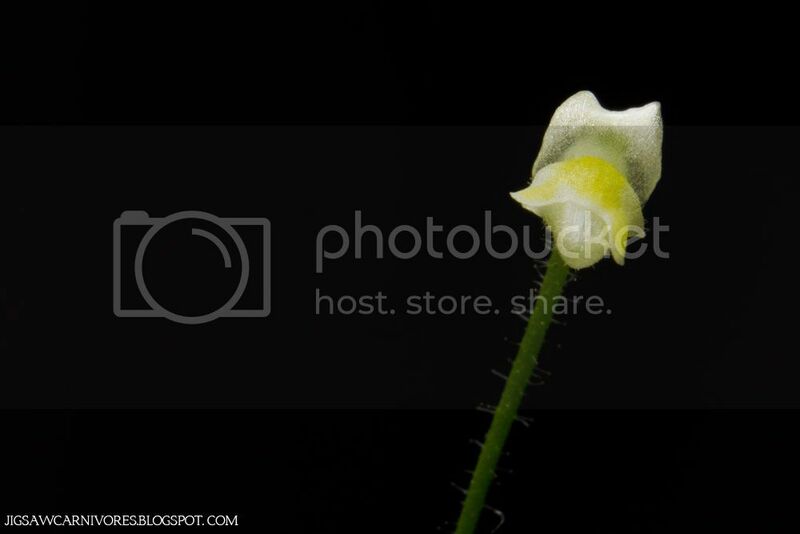 Carnivorous plants hobbyist from the land of thousands of lakes. What will happen to this blog then? -I won't end keeping this blog but the number of updates will decrease to 1 post per 2-3 months. For my Finnish blog I will give a neck shot for not reaching enough audience for me to keep it going so I can focus on this English blog which has more wider audience. -Yes, most of the stuff in my life is well at the moment, school is fun and I have many friends, just not having enough spare time to keep this blog running as well as before just makes me a bit sad. But after this one era in my life will come to end I will look into reactivate the blog again to it's former glory. Will your plants still be alright? -Most of them yes. Well they only need water and light with minor trimming so it is not too hard to provide. That's all for now. 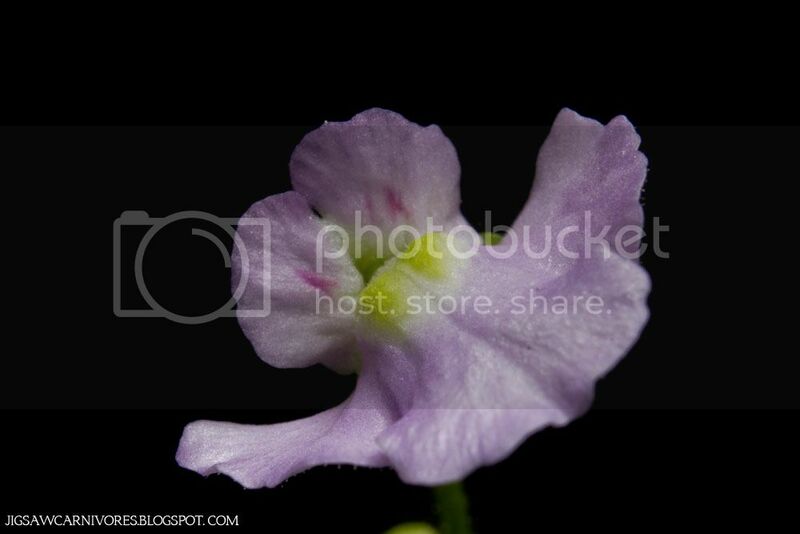 Plants grow pretty well and my seedgrown Utricularia asplundii is flowering *(hyperventilation*) and photos of it and some more plants will follow within few weeks. Until then keep reading and enjoy the last blast of summer before the fall falls over us. Cheers! New plants and last days of T.R.A.P. Thanks to Dafinka from darwiniana.cz. 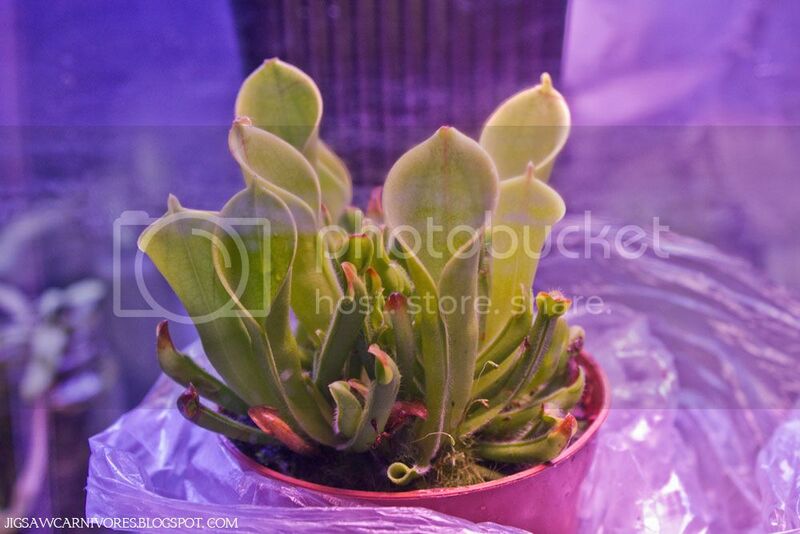 Last week I received plants fron CarniSana, which I already gave you a brief review. 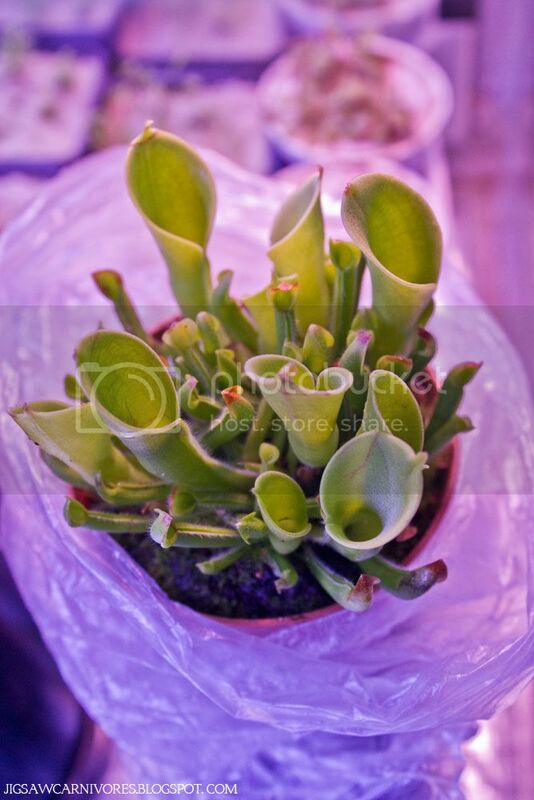 Gorgeous Heliamphora heterodoxa x minor, which was the main course of the packet was over my expectations with many vigorous growing points. Hopefully the Heli will thrive in my so called "highland" terrarium, of which I don't have specific information of temperatures or humidity, but as soon as soon as I have some some more info I will update it here. 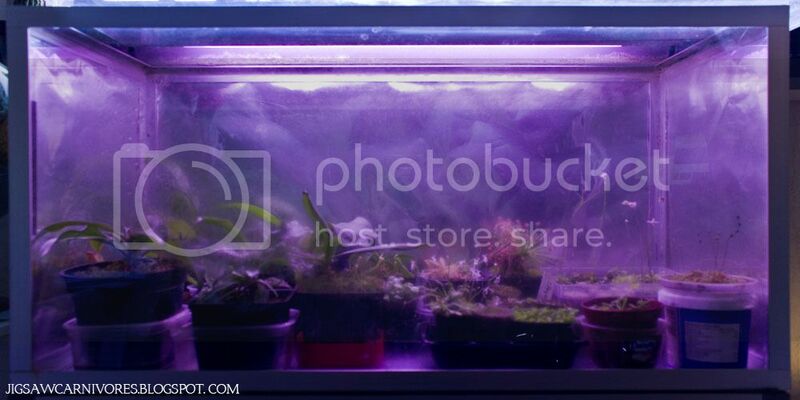 This highland terrarium is a used aquarium on near floor level and under a window to provide extra cooling. Much Changes have come in growing my plants because I had to fit my plants in two terrariums, which made me to sort these plants into two groups, heat lovers and cool growers. 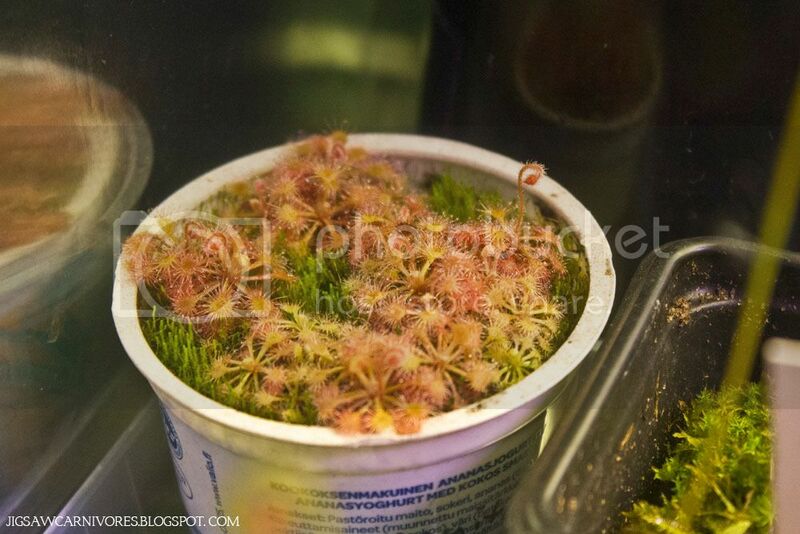 Among heat lovers is my newest glistering jewel, the last Queensland sister I did not own, funny looking Drosera prolifera. So here is the T.R.A.P. shown. In the terrarium "heat lovers" there are all of my Nepenthes pitcher plants, Queensland and petiolaris complex Drosera, Drosera oblanceolata and nearly all of my terrestrial Utricularia and Genlisea. After long search of easy to grow Genlisea I found at last G. flexuosa and pygmea which are flowering to me at the moment. 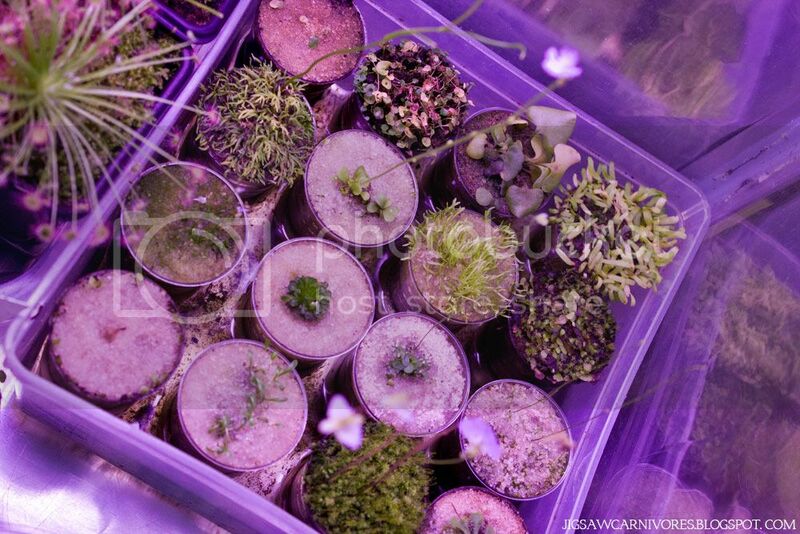 Cool growers include epiphytic Utricularia, leftovers of Drosera, Genlisea and Utricularia plus Heliamphora and Brocchinia reducta, which is one of the most vigorously growing plants recently in my collections. Arrived with three leaves, which are already long gone, and now looks like this. Still nothing happened in the size, but the growing speed is good. Well everything can't go perfectly jo my lamp decided to go dark and my plants in "highland" terrarium need to grow under warm white fluorescent tube until I get another plant tube. One of the best things happened (right after getting my stitches away) in this week is that one of my most waited plant hybrids has become reality in form of U. asplundii x jamesoniana, which you can see pictures of in CPPF or take a look at the original thread in CPUK. Now to just wait until someone crosses U. asplundii or U. jamesoniana with U. campbelliana or U. quelchii. My list of wanted plants just keeps getting longer and longer when U. asplundii x jamesoniana is added to it. 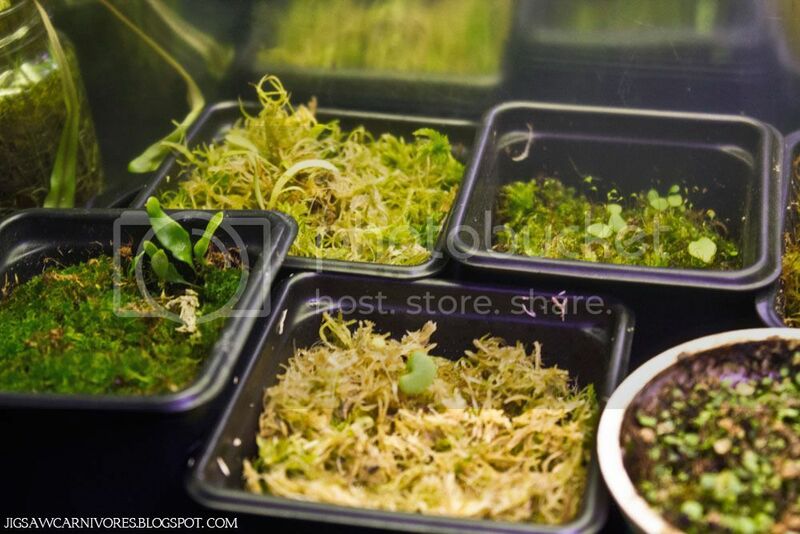 I have seed grown U asplundii but they are still pretty small plants and in next season I'm considering of buying U. jamesoniana which is said to be a bit challenging because of it's small size, which is why it is easily overgrown by moss. So my small scale holiday is soon to over and for me it is return to study writing, communication, adobe illustrator, school security and history of arts among many other subjects. Hopefully studies to become a media assistant will also helm me make this blog better to read for you all. 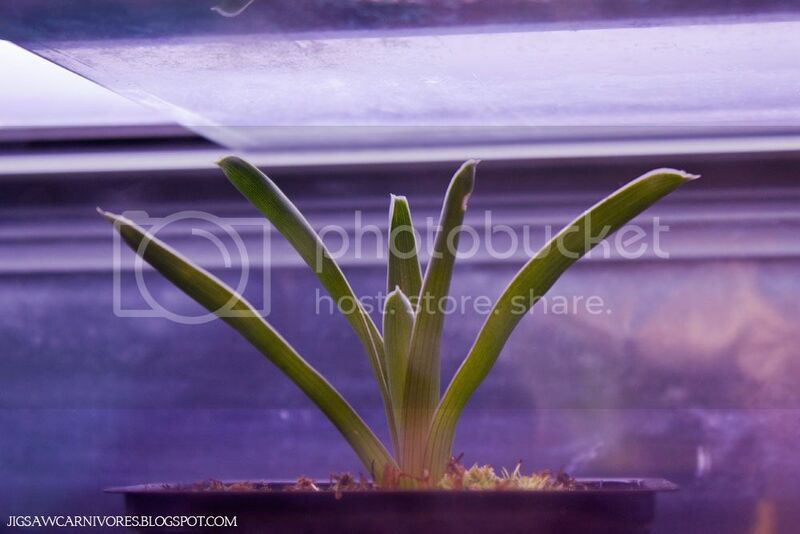 Next blog post will most likely focus on temperate plants and how I will prepare them for dormancy. Until my next post, happy growing and sunshine to all of you! What is the best carnivorous genera? All photos on this site belong to the author of the blog unless otherwise stated.. Picture Window theme. Powered by Blogger.